Halloween is just around the corner and we can’t seem to keep our excitement on the DL. Because why would we?! It’s almost that time of the year to eat all the candy, carve all the pumpkins and dress up in all the most outrageous costumes. Ok, so maybe not the most outrageous… But definitely the funniest. Everyone loves a funny Halloween costume — almost as much as they love delightfully funny Halloween cards. It’s always a good time for a giggle, but there’s something about this time of the year that brings out the comedians in all of us. So while you’re busy trying to come up with a funny Halloween costume idea for yourself, why not send everyone you love some funny Halloween cards? Make their day a bit brighter and show the world just how funny you really are. Not to worry, you don’t even have to search far and wide for a giggle inducing card because we’ve lined up the funniest ones for you right here in this handy dandy list. 1. You scare the sheet out of me. Tell us that didn’t just make you laugh out loud? 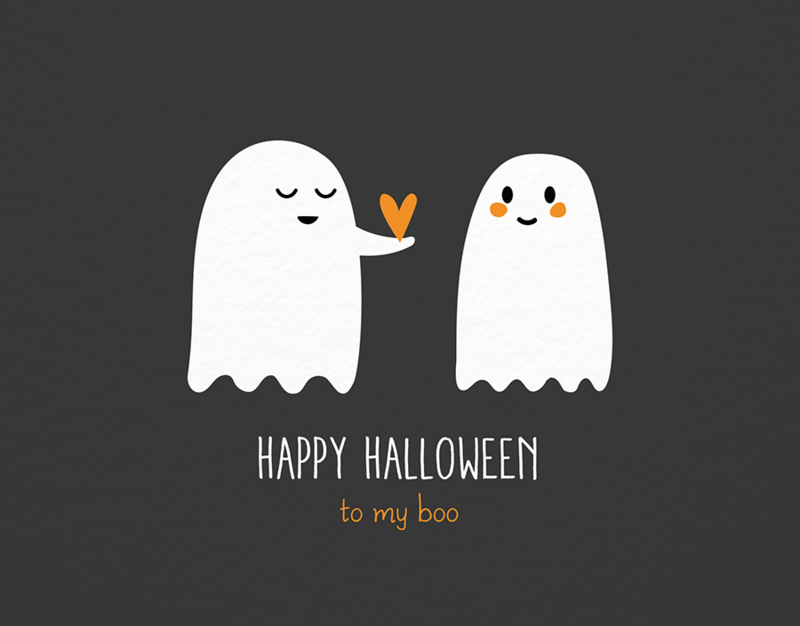 Everyone loves a good pun and this ghost pun just about takes the cake — or candy (whichever you prefer). The simple design makes the simple pun even more funny. Another pun for the win. 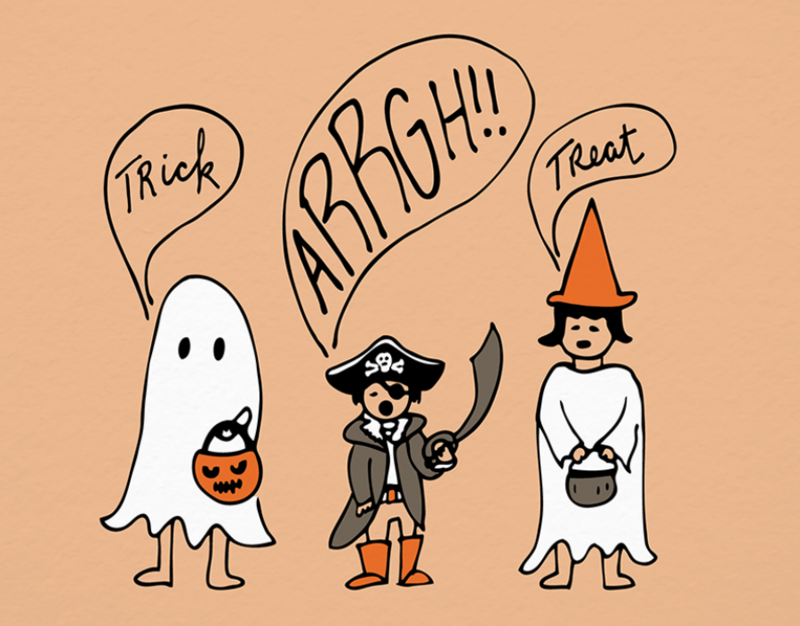 A little pirate humor this Halloween season will certainly bring a smile (or two) to everyone you love. And hey! If you decide to dress up as a pirate this year — go ahead and use this little punny pun to the delight of everyone you meet! 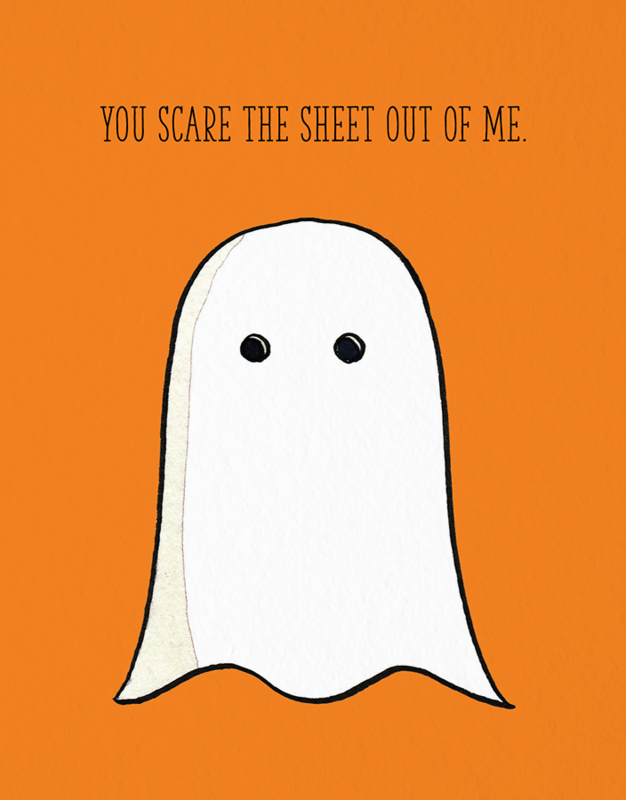 But first, send this funny Halloween card to someone you love and make their day a little more giggly. Whether you’re a dog person or not — which, of course you are because puppies are the greatest thing since sliced bread — this punny card will make you smile. 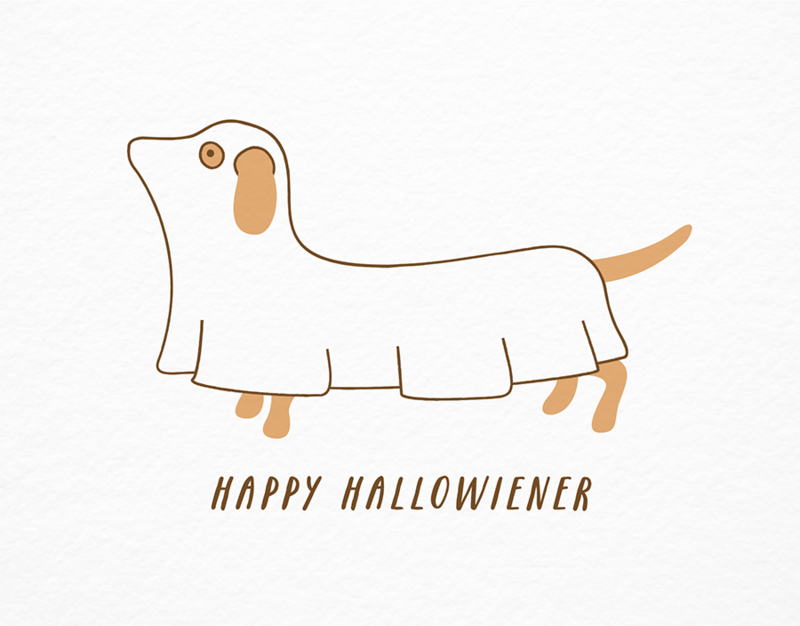 If you’re one of the lucky ones who owns a little wiener pup yourself, this card is perfect for you. All of your friends and family will think this card was especially made for you and your little pup. 4. Happy Halloween to my boo. And the puns keep knocking it out of the park! Ok, so this is the last pun card on our list of funny Halloween cards so enjoy it while it lasts! If you have a significant other, it doesn’t get more perfect than this card. It’s cute as all cuteness and there’s a pun! What more could you ever possibly want?! Send the card and don’t forget to write a little something something sweet on the inside — we’ll leave that one up to you. We saved the best for last. 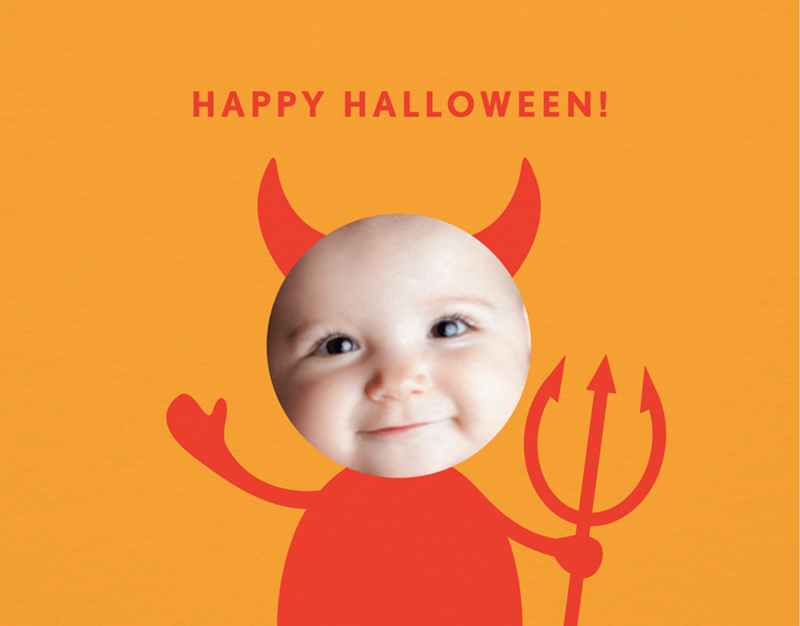 But also not really because all of these Halloween cards are the funniest things since…always. Use this photo halloween card to share your smiling face with the world. If you have a little babe of your own, this card is perfect to showcase their latest giggle-inducing face to your friends and family. Who wouldn’t love an adorable card like that!? Ok so you’ve got your hands full with five funny Halloween cards you can send literally right now — like right this moment — without ever leaving your computer. Didn’t you know? Just click the link under any of the cards above to get started. Postable will print, address and mail all the cards for you. Still trying to figure out how you’re going to make this Halloween one to remember? Funny Halloween costume ideas are all over the place, but you’ve got to do some heavy digging to find the best ones. So we did the leg work for you — as always. We scoured the world of Pinterest to find the funniest most giggliest Halloween costume ideas out there and brought them here — straight to you. 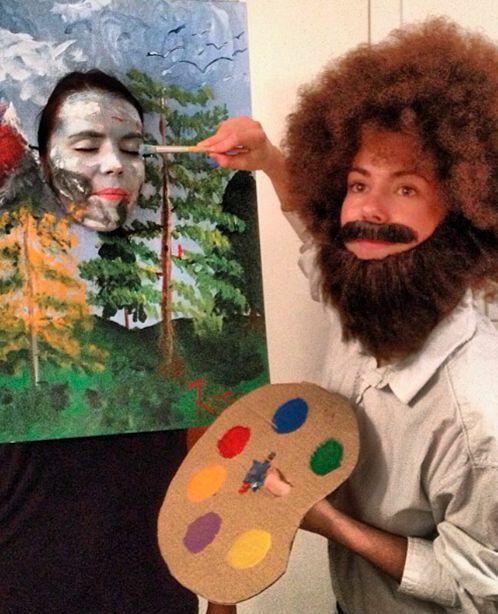 This duo Halloween costume is a masterpiece. [How’d you like THAT pun?] Not too difficult to put together with pieces around the house — although you may need to pick up a wig and some facial hair. 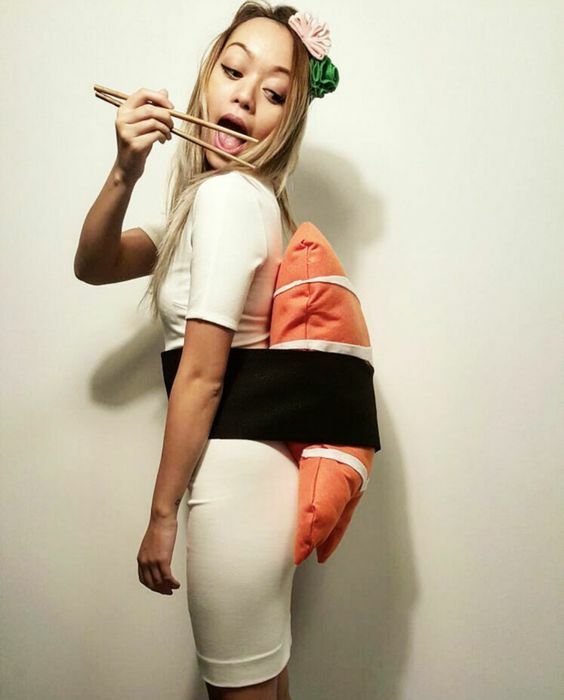 Everyone loves sushi. Why not dress up like one for the big day? This Halloween costume involves zero sewing so don’t worry if you aren’t very crafty. Just pick up some chopsticks at your favorite local spot and maybe a Finding Nemo pillow. 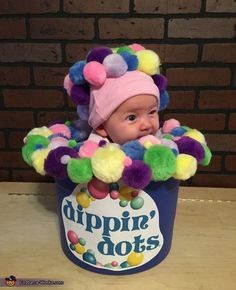 Or just follow the link below the photo for complete instructions on how to recreate this funny Halloween costume. Perfect couple costume for the perfect couple. 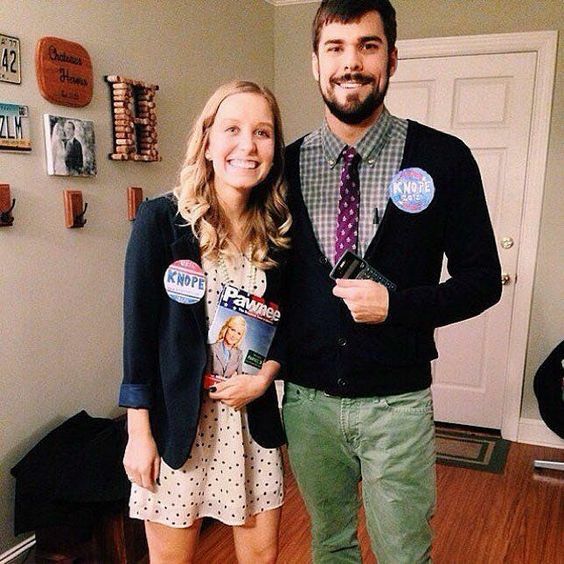 This funny duo Halloween costume idea should be really easy to recreate and is perfect for the Parks & Rec fans! Another funny option for all the Parks & Recreation fans out there. 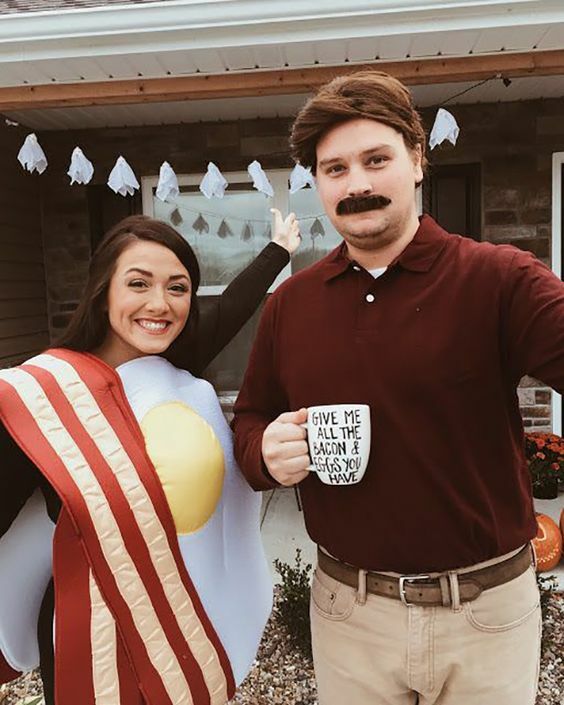 Just get yourself a mustache and an egg & bacon suit. You’ll be well on your way to scoring the funniest couple costume at the party. Speaking of puns. Make your Halloween costume a living, walking pun! This idea is also great if you’re running short on time. 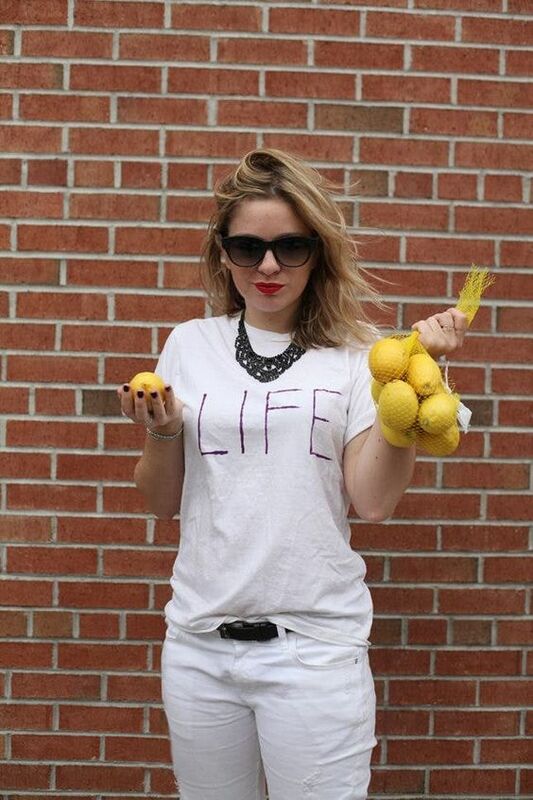 Just grab some lemons and a fabric marker and you’ll be on your way. Tired of giggling yet? What are you waiting for? Get to organizing the funniest costume and don’t forget to send your loved ones some giggles with a Halloween card. Checkout all of the Halloween cards here.